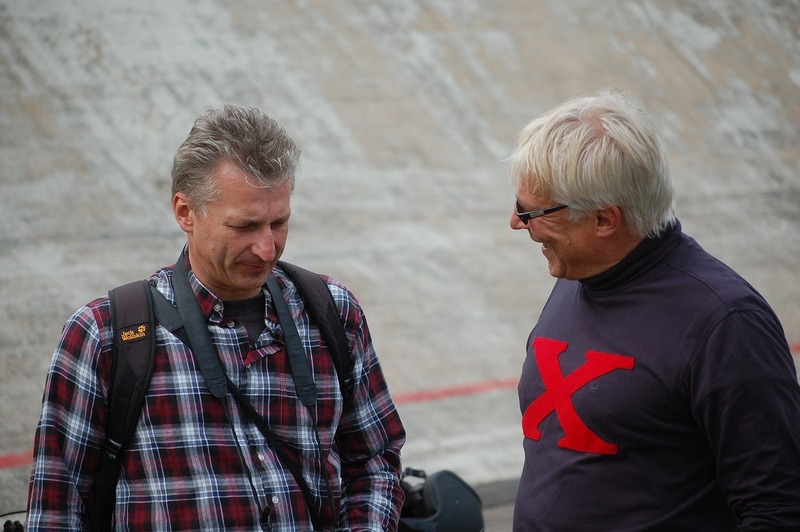 My friend Jochen Kleine and I presented the 11th time the Trackracer Meet in the motordrome in Bielefeld. 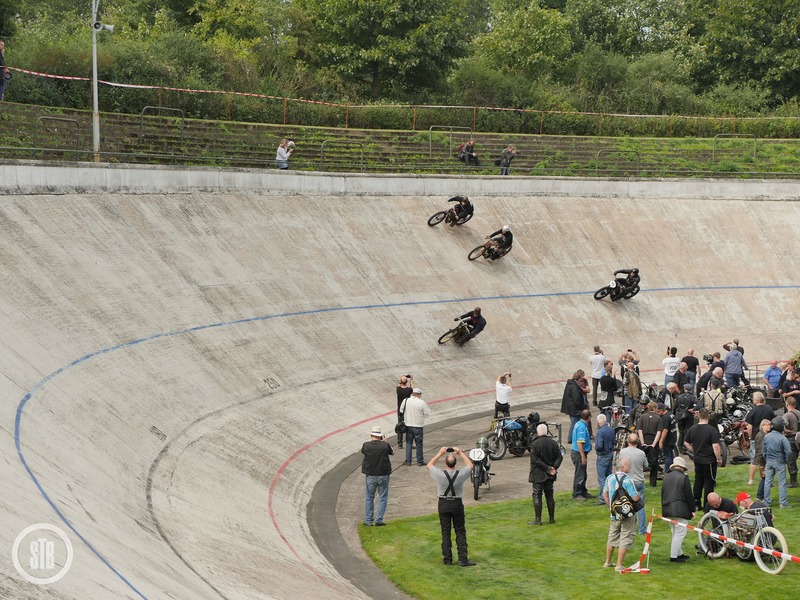 In Germany it is called Cement track Race. This is like the old board tracks, but made from concrete, not wood. 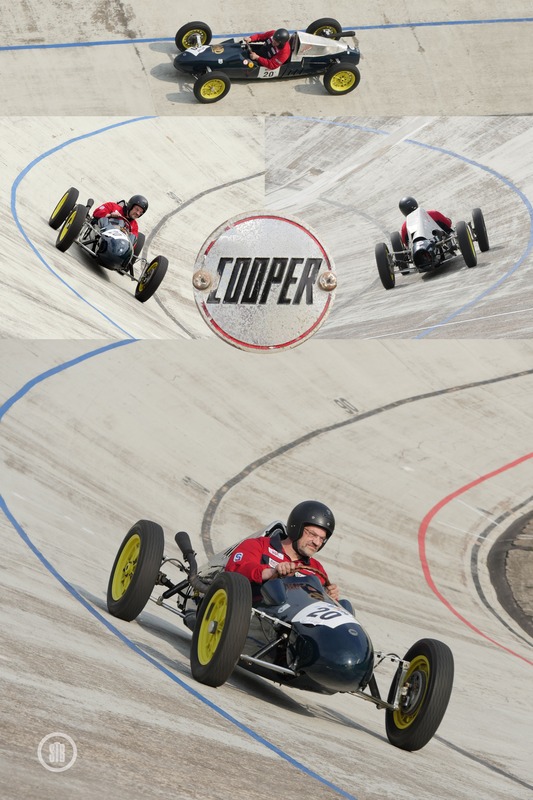 During the 50th there are fast motorcycle races and also car races (Cooper) in the bowl. It is really interesting to start in this oval. 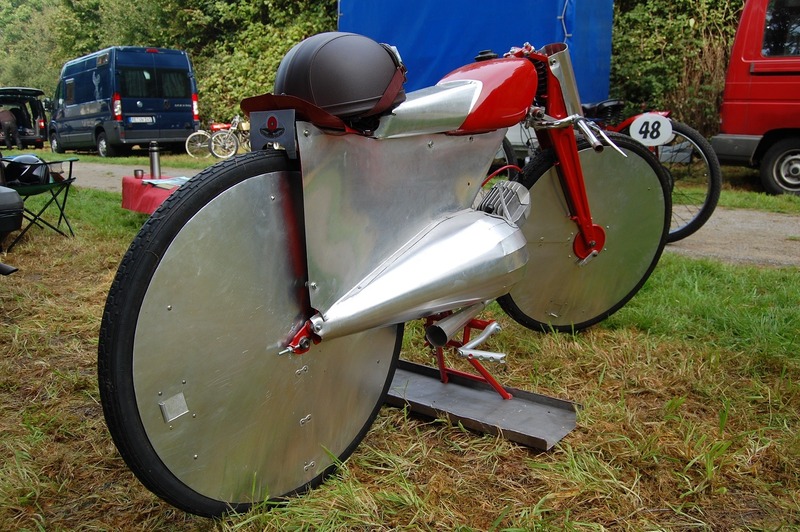 The curves are inclined 49° and the track is 333 mm long. Yes, that good for very fast rounds. It was this year a very sunny day. We very lucky to have 37 competitors at the grid. A lot of interesting bikes. 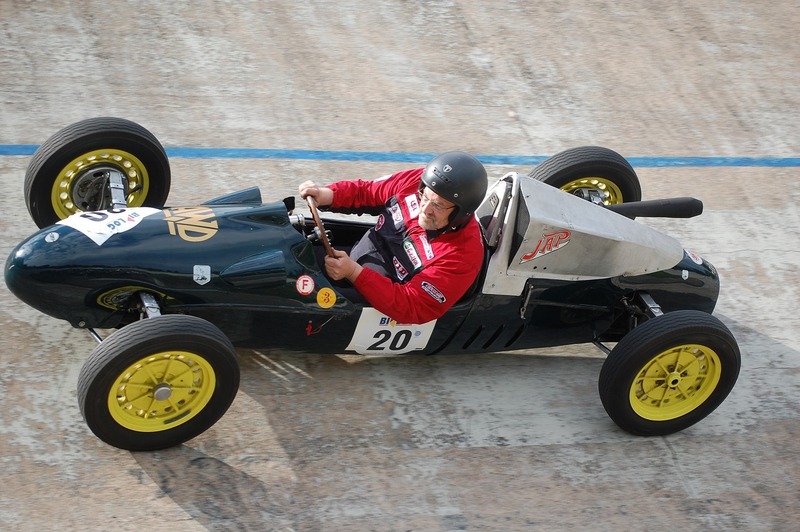 All drivers have a lot of fun and made a lot of rounds (laps) during the whole day. In the evening we had a great dinner. We served the traditional "Püfferchen". And all drivers must help, prepare the potatoes, onions and so on. That also real fun . 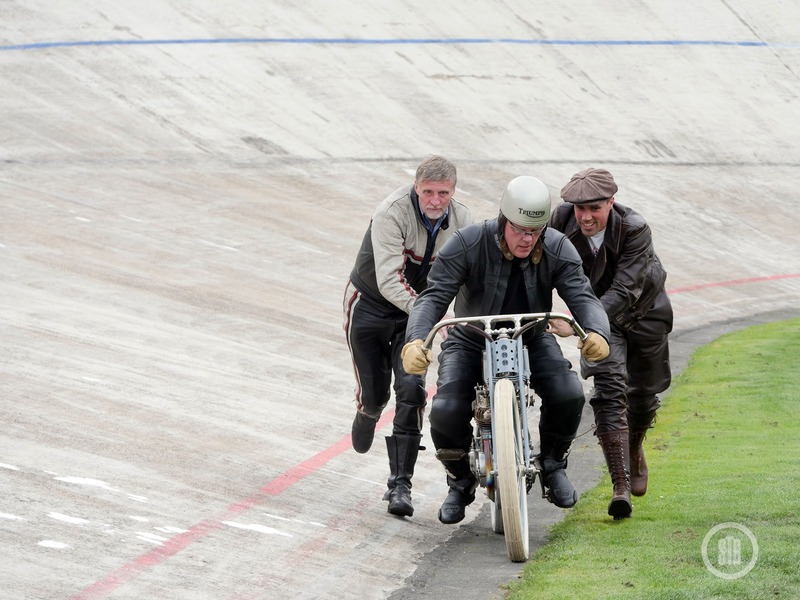 After the dinner some of the drivers go once again on the track. We ride under floodlight and this was for all an interesting experience. 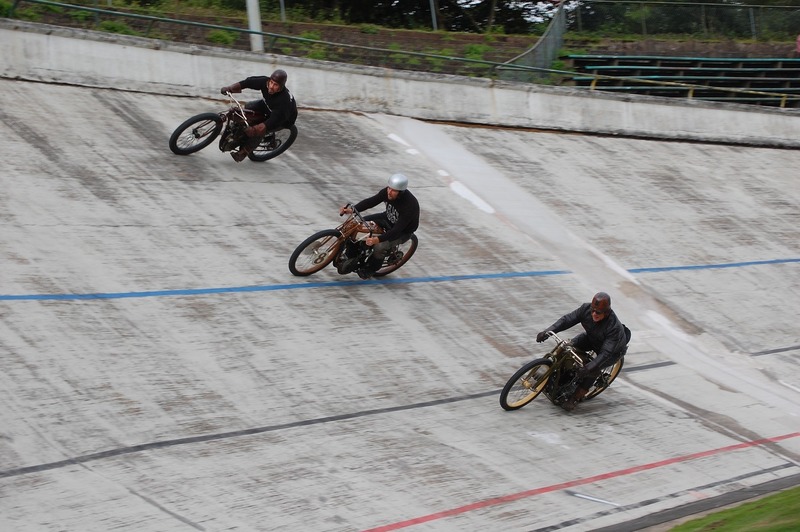 Now the 11th Trackracer Meet is history. We’ll be glad to see all again in 2016. 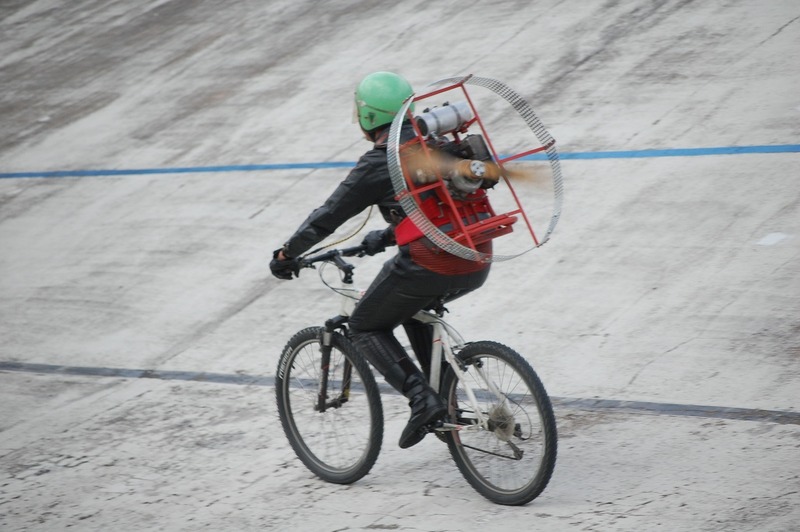 Thanks to Thomas of the Bey of us in his Cooper Oval he brought, Stefan Bund for brilliant photos, Hermann Becker for his contribution with the propeller bike – awesome. 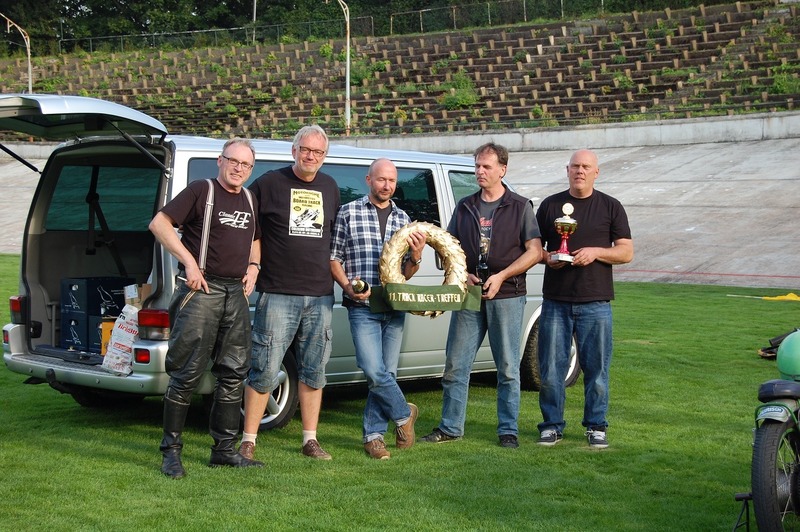 Also thanks to Andy who came from London and the Harley with some troubles. Nice to see some new participants at the start and several of them now really have tasted blood. Looks like these guys are having a hoot of good time. Cement is a big improvement over wood. I was going to get the Excelsior book until I realized it was in German.Are there no good books in English about Excelsior??? There are no other books about Excelsiors that I know of, other than the German one. Thomas Bund’s “American X” is a book well worth having. Most all of the original reprinted Excelsior, and Henderson literature is in English. Besides that, Mr. Bund put a lot of heart and soul into his book, so if you love Excelsiors, you have to have it. Agreed! It is a great book. 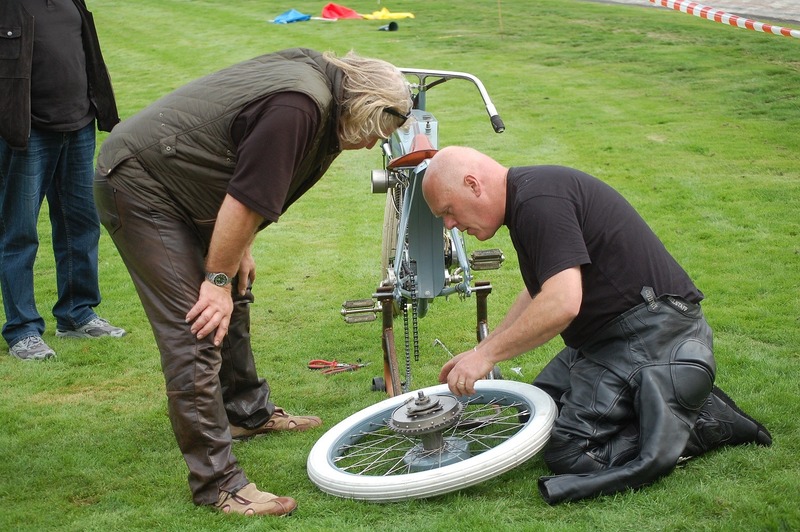 Uwe: I want to thank you for some truly exciting photos of some truly exciting rides. I’m especially pleased to see some younger enthusiasts coming up. You must be doing something right. Pete, you have to come next year ! 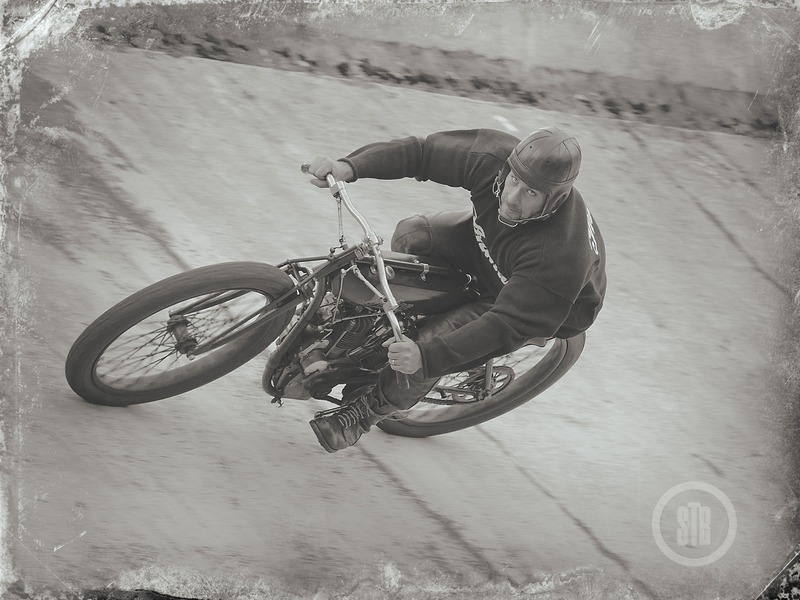 I have a 1919 Big X used to pace pushbikes around the Melbourne concrete saucer ‘Motordrome’ (called the ‘Murderdrome’ given some of the horrific accidents there) which operated from 1924 to 1933. 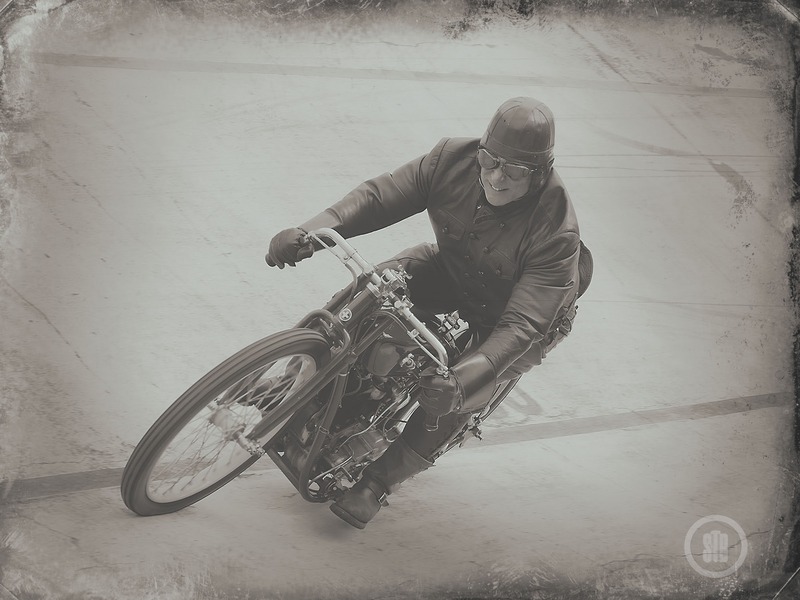 It was a 500 yard track with a 48 degree angle, which reputedly was the site for world speed and distance records for stayer/pace bike racing in the 1920s and 30s. 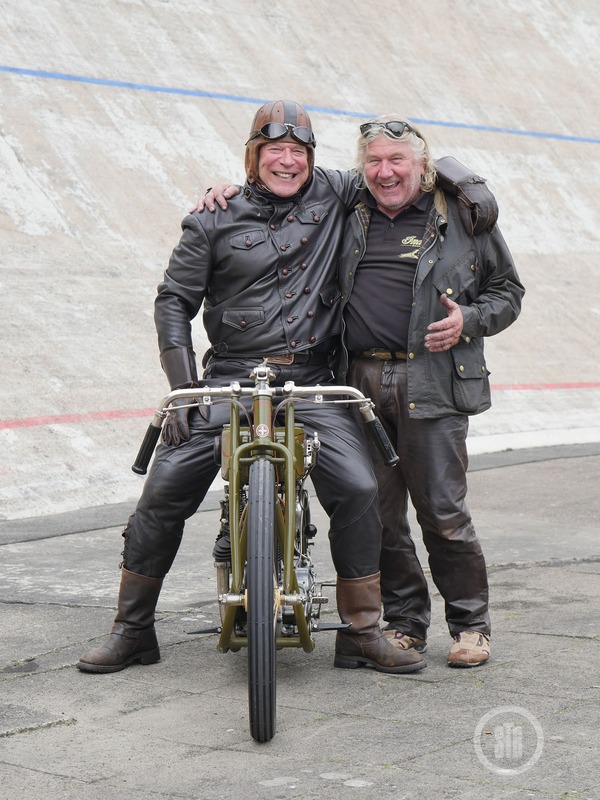 One record claimed was the 5 and 10 mile paced world record by Fred Armfield at an average of around 67 mph with one lap at 71 mph. 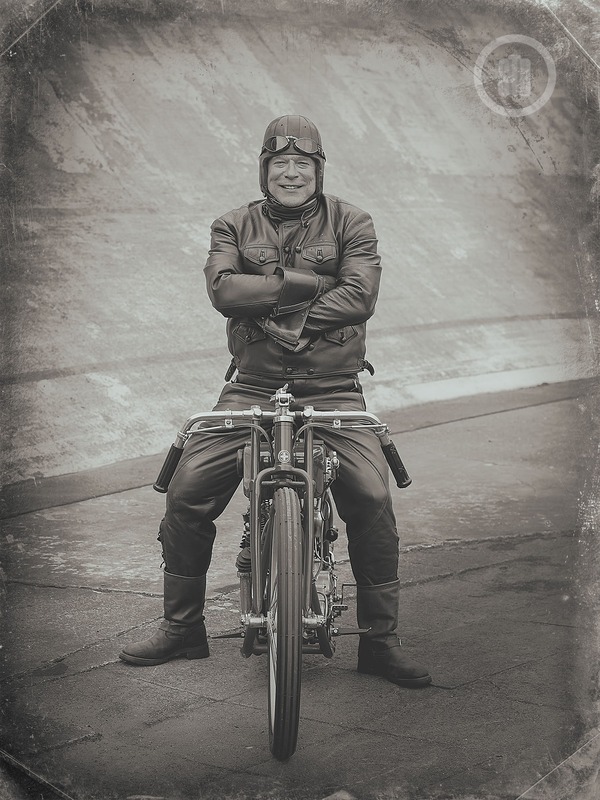 Not bad for a pushbike behind a motorbike with minimal brakes and a fixed wheel in 1933. 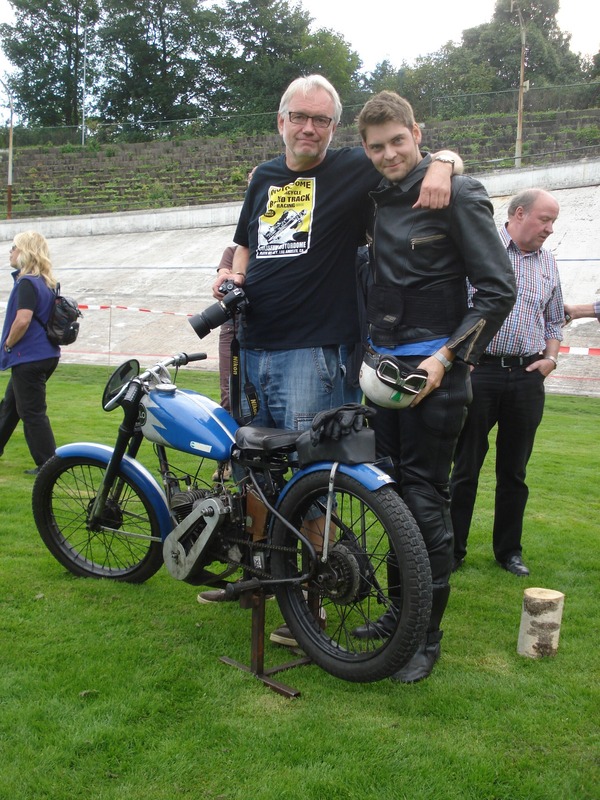 I think Stayer racing is still going in Germany and would be interested if it is done on this track.